A number of Rangers have had their callups to their national sides with the international break now underway in earnest, but the two we are probably most intrigued by here on Ibrox Noise are those of arguably two of our most valuable assets. Alfredo Morelos we’ll get onto in a moment, but we’ll begin with Croatia’s Borna Barisic. Regular readers know we are not Borna’s biggest fans here, not because he’s a poor player, but because he’s come nowhere near close to showing how good he really is. His time at Ibrox has been a catalogue of poor form and injury, and it took bad refereeing at the weekend which went against him for the ex-Osijek man to finally show a bit of passion. We’ve oft-rated his outstanding crossing, which, when he manages to get it in from the left, really is a torpedo of a delivery when the lad is in the zone. The problem is he hasn’t been in that aforementioned zone for about 75% of his time in Govan, with a decreasing number of those pinpoint deliveries – even when he arrived on for a 45-minute cameo at the weekend, while he got a lot more balls in, none of them reached their mark. Badly off the boil, and sadly rarely on it since his summer move, Barisic is a player for whom patience is wearing desperately thin. We know we have a Croatian international on our hands for goodness sake – the world cup finalists, embarrassed with the riches of the likes of Perisic, Rakitic, Modric and Kovacic and Barisic is likely to start among them against Azerbaijan and Hungary. In short – if Barisic can step up for his country, produce at that level, as he has previously, and start to finally get to grips with the SPL, Rangers have a £10M+ player on their hands. But time is running out for him to do that. 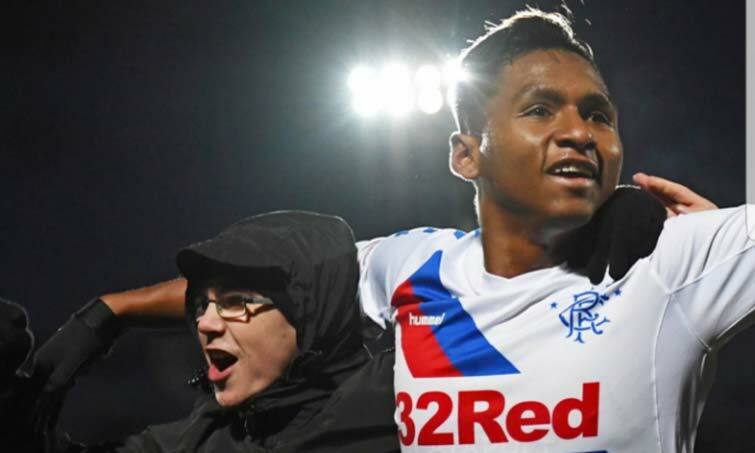 Meanwhile Morelos will play for his country in some friendlies – some outlets claim he will start, and the simple call up boosts his existing value – as we’ve discussed before, goals would hike that further, and we already know the boy wants his big shiny move away, and the better he does for Colombia, the more Rangers can get for him when the rich boys come calling for him. Rangers don’t have a tonne of high-value assets right now. We have theoretical ones – Eros Grezda was labelled a £20M player by his national boss but we’ve seen none of that, while James Tavernier frequently gets judged as a £10M player but not so much on current form. So the ones we do have we certainly wish to boost further, and if Barisic and Morelos can deliver for their countries, those precious values will rise as well. It's almost like they come to us, to be poor. Barasic, Lafferty, Grezda Coullibally & more. I'm sick to death of it, tbh. We deserve better. Come summertime, we must cut out the rot. Half that team, must go.